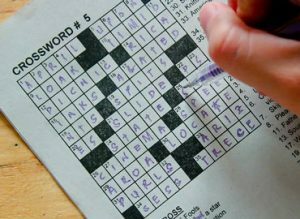 Doing crossword puzzles regularly may help to keep the brain up to 10 years younger late in life. And the more frequently you engage in crossword puzzles or other word games, the better your brain function may be. Those are the findings of a study from researchers at the University of Exeter Medical School and Kings College London in Britain. They add to a growing body of evidence that mentally challenging activities may help to keep the mind sharp as we age. For the study, the researchers surveyed more than 17,000 healthy men and women aged 50 and older who were part of a large and ongoing research initiative. They filled out questionnaires about how often they played word games such as crossword puzzles. Participants were also given a research test to assess various aspects of memory and thinking skills. The investigators found that the more regularly participants engaged with word puzzles throughout life, the better they performed on tasks assessing attention, reasoning and memory. From their results, the researchers calculated that people who regularly engaged in word puzzles have brain function equivalent to up to 10 years younger than their age. The study found only an association between regular word puzzle use and better brain function. It cannot prove cause and effect. But the findings further suggest that mental stimulation can be good for the brain. Indeed, it is plausible that playing word puzzles reflects a higher level of education helping building cognitive reserve. It will be interesting to study if starting playing word puzzles at an advanced age will have the same impact than playing regularly through life. The findings were presented in a poster session at the Alzheimer’s Association International Conference in London in July. 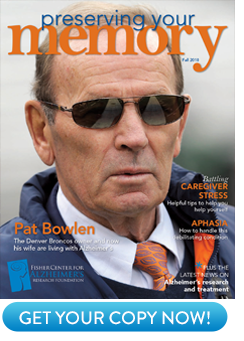 Genetics and advancing age have a big impact on who develops Alzheimer’s disease. But a healthy lifestyle may help to delay its onset. Experts say that regular physical activity, avoiding smoking and eating a heart-healthy diet are all good for preserving memory and thinking skills. Playing regular word games may also help to keep the brain sharp.